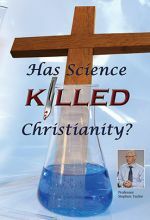 Are science and Christian faith incompatible? Professor Stephen Taylor of the University of Liverpool presents two insightful lectures on the relationship between science and Christianity and argues that science and faith should not be enemies but friends. Taylor highlights scientists past and present who saw no contradiction between their faith and their scientific work, examples include: Michael Faraday, Lord Kelvin and Francis Collins. Taylor also lays out the evidence for intelligent design. Must The Sun Set On The West? 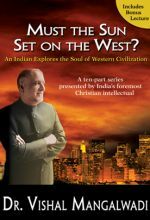 The late Chuck Colson called Vishal Mangalwadi, “One of the greatest Christian worldview thinkers of our time.” Now, Mangalwadi, an Indian-born intellectual, social reformer, and author of 13 books, has released a series of lectures on DVD called Must the Sun Set on the West? LECTURE 1 -- Karma and Reincarnation: Foundations for Ethics and Personal Significance While much of secular philosophy tells us we can't know if we live in a moral universe, karma and reincarnation tell us the universe is a perfect system of cause and effect...whatever you did in your past life will catch up to you in the next life. But what about free will? Are we really just cogs in a cosmic machine? How does the Judeo-Christian worldview address the problem of ethical behavior and personal dignity? LECTURE 2 -- Buddhism: Escape into Emptiness Dr. Vishal Mangalwadi says that Buddhism is a serious contender for religious preeminence in the West. Having rejected the Bible, many are attracted to Buddhism's offer of tranquility and escape from self. What does Buddhism teach and how does it compare to the Christian Gospel? LECTURE 3 -- Hinduism: The Science of Becoming One with Everything Hinduism is a powerful worldview, and many facets of that worldview are gaining acceptance in the West. 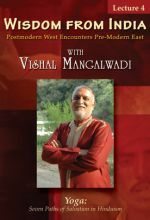 Dr. Vishal Mangalwadi traces the complex history of Hinduism in India and explores the ramifications of the idea that everything in the universe is one. 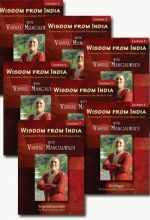 LECTURE 4 -- Yoga: Seven Paths of Salvation in Hinduism In this lecture we learn about the various types of Yoga and the spiritual worldview that forms the background of this popular practice. Dr. Mangalwadi answers the question: Can a person engage in Yoga as a form of exercise and relaxation without necessarily buying into all its religious implications? LECTURE 6 -- Ecology: The Responsibility of Being Human Many believe that global warming and other ecological crises are the number one threat to humanity and the planet, while others believe that global warming is a hoax. Why are ecological issues so divisive? In this lecture, Dr. Mangalwadi explores various philosophies of the environment and asks: If the crisis is real, who is to blame? Is religion or secularism at the heart of the problem? How are we to understand the biblical mandate to “subdue and rule over the earth”? LECTURE 7 -- Vegetarianism: The Ethics of Eating Meat In this lecture, Dr. Mangalwadi explores the history and meaning of vegetarianism from the Eastern religious viewpoint, the secular viewpoint and the Judeo-Christian viewpoint. Is vegetarianism healthier than eating meat? Is it cruel to slaughter animals for food? Why do most Christians reject vegetarianism? In this seven-part series of fascinating lectures, renowned scholar Dr. Vishal Mangalwadi explores the philosophy and religious practices that evolved in and around his native India and contrasts them with Judeo-Christian beliefs. LECTURE 5 -- Astrology: Let Us Make Man in the Image of His Stars Twenty-five percent of Americans take astrology seriously, according to a Baylor University study. 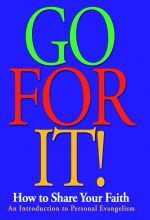 Astrology is a central component of the New Age movement, and many use it as a tool for self-discovery. Do the positions of the stars really have any effect on personal and sociological events on the earth? Dr. Mangalwadi explores the evidence surrounding astrology and considers how it relates to the Judeo-Christian worldview. Faith & Science: Meaning in Evil & Suffering? 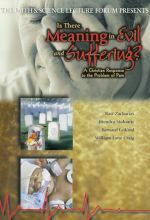 The Faith & Science Lecture Forum hosted an engagement to discuss the question, "Is There Meaning in Evil and Suffering?" Ravi Zacharias was the featured lecturer and he presented a 45-minute address offering the Christian perspective to this concern. Faith & Science: Who Is The Real Jesus? 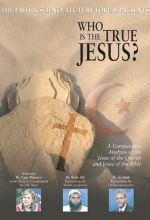 In October 2000 the Faith & Science Lecture Forum hosted an engagement to discuss the question, "Who is the TRUE Jesus?" Ms. Peggy Wehmeyer, former religion correspondent for ABC News, moderated the debate. 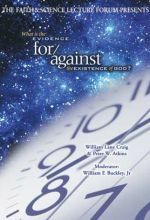 Presenting the evidence for the existence of God is William Lane Craig, Research Professor of Philosophy at Talbot School of Theology. Dr. Craig earned a Ph.D. in philosophy from the University of Birmingham, England, and a D.Theol. in theology from the University of Munich, Germany. He is author of numerous articles in professional journals of philosophy and theology and has written over a dozen books, including Theism, Atheism and Big Bang Cosmology and Reasonable Faith. Many Christians struggle with personal evangelism, sharing the message of Jesus Christ with others. One reason for this is that religion is generally considered a private affair in our society. To talk to others about your faith seems a little pushy and in bad taste. But Christian personal evangelism is not trying to convert others to your particular denomination, but to bring the good news about the love of God, forgiveness in Jesus, and the offer of a new life. The series shows why sharing Christ is important and provides Bible-based advice on how to witness. 'Science disproves the existence of God' - and thanks to high profile scientists such as Prof. Richard Dawkins and Prof. Stephen Hawking - many people unquestioningly believe it. But many scientists and other academics of the highest caliber, are challenging this 'assault on faith.' 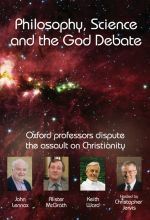 Among them are three top Oxford professors: Professors Alister McGrath, John Lennox and Keith Ward. Fortunately, films have been found of some of his best messages delivered in the 1960's. 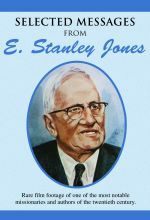 E. Stanley Jones, noted Methodist evangelist-missionary, speaks on "Ministry," "The Self," "Christianity and the World Situation," and "Jesus is Lord." What is most amazing is how these messages so directly address our situation today, even though delivered decades ago. LECTURE 2 - Buddhism: Escape into Emptiness Dr. Vishal Mangalwadi says that Buddhism is a serious contender for religious preeminence in the West. Having rejected the Bible, many are attracted to Buddhism's offer of tranquility and escape from self. What does Buddhism teach and how does it compare to the Christian Gospel?